Today’s guest post is from my new clever blogging buddy Clare who lives all the way over in the USA. It’s spring there and the weather is warming up. It’s cold here today and I’m sitting here all rugged up with my slippers on. I wish I was in Clare’s neck of the woods right now. I was introduced to Clare’s lovely blog, Cats Eat Dogs, when I did the recent online blogging course called Blog with Pip (which, by the way, has been a wonderful resource and I would recommend!). 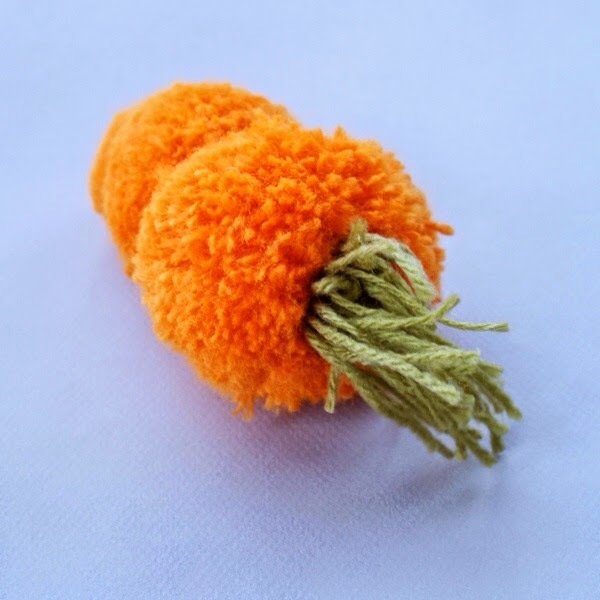 She has written a lovely little tutorial for us on how to make the cutest pom pom carrots that I’m sure every little Easter bunny will just love! 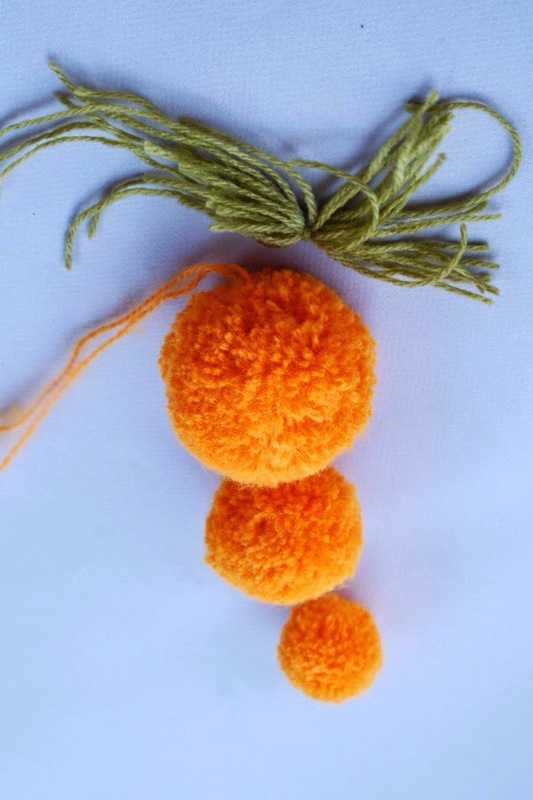 If you head over to her blog, she has also made a cute little pom pom rabbit. Thanks Clare! Springtime brings Easter and baby chicks and lambs and veggies galore! 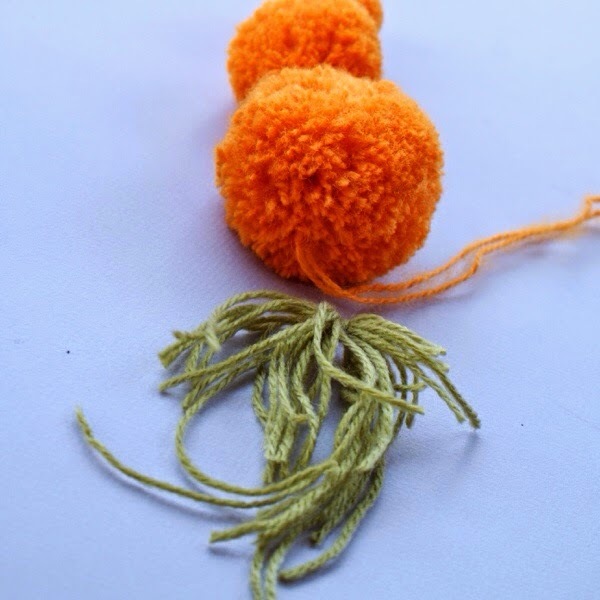 The weather is warming and everything is growing, so what better use of a pom pom than to make carrots. 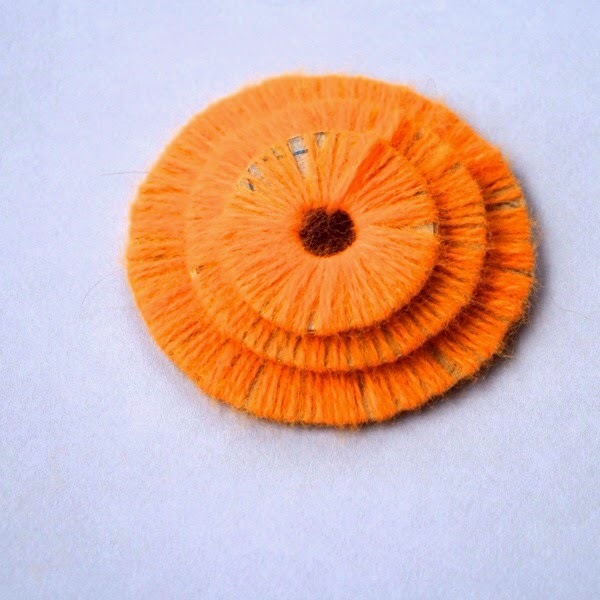 When the pom poms are sewn into the carrot shape, trim them to get that lovely carrot shape. 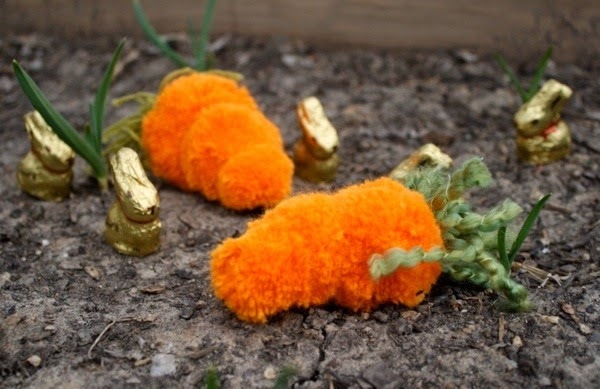 Arrange your carrots with some Easter bunnies for a super cute Easter arrangement. 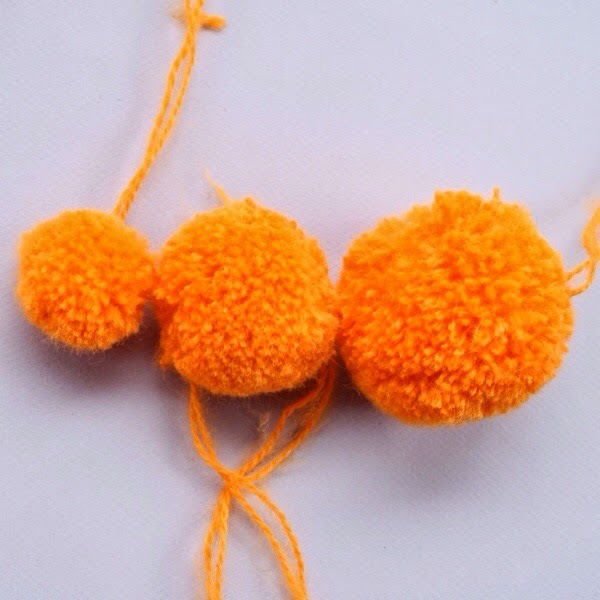 Pom poms are really fun to make and if you haven’t made them before, you’ll find a simple tutorial here. You can also make them using a fork or on your fingers as well. Are you in Easter overload yet? I hope not, because this week we are celebrating and counting down the days until Easter, by having an Easter crafty post every day until Sunday, so come back again tomorrow for even more Easter fun! 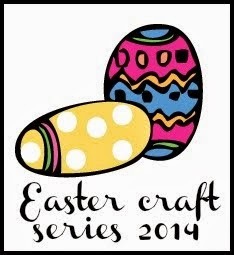 Perfect for Easter holiday crafting with the kids.